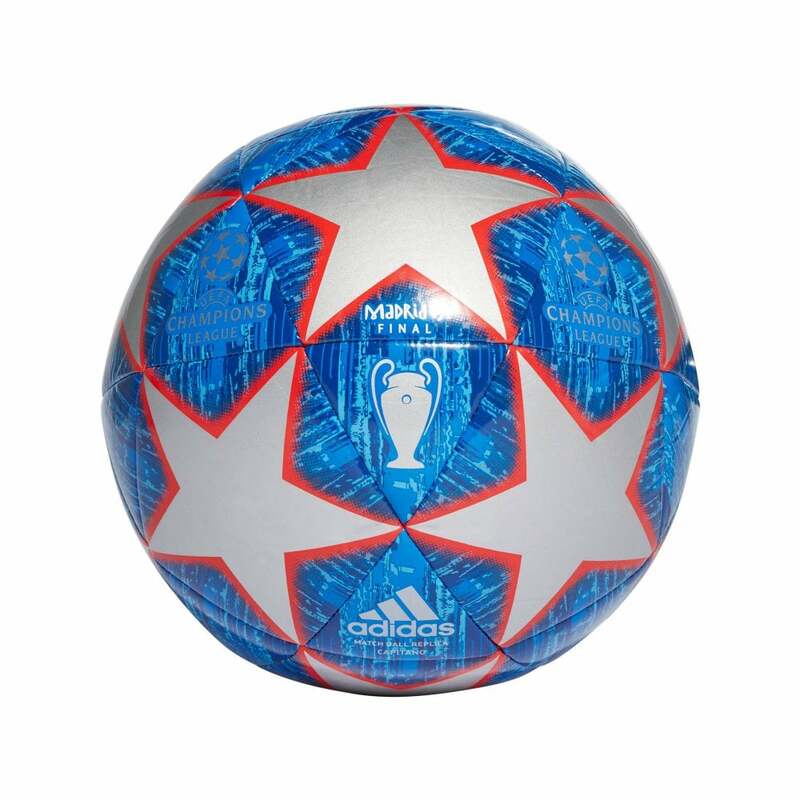 This ADIDAS Performance UCL Finale Madrid Capitano 19 Football is a replica of the official UEFA 2018/19 Champions League knock-out stages and finale match ball and is blue in colour with a geometric star print pattern in silver and red. ADIDAS Performance branding appears over the ball as well as Champions League and Madrid Finale branding. It is machine stitched 100% TPU imitation leather with a Butyl bladder for the best possible air retention and durability.